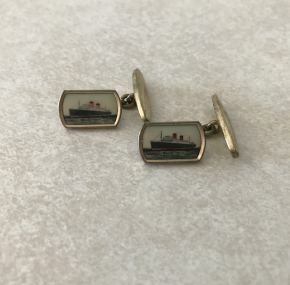 From the gift shop on board the RMS Mauretania of 1939, or as folks still call her, the “new” Mauretania. I use my personal ocean-liner cuff links as often as I can; so these cuff links might come in handy for one of you. In very good condition.